All ImpactSkills instructors have undergone a rigorous selection process. They are chosen for their talent, and ability to communicate that expertise in a unique way. This enables all delegates to enjoy, fully participate, and have fun on all our programmes! ImpactSkills instructors are dedicated to helping your organisation develop the core business skills necessary to survive and thrive in today’s business environment. They all come from the real business world, with the real business world experience, with all pressures & time constraints that brings. They fully understand how important the resource of time, and talented people are to your organisation. They’ve directed, managed, sold, presented, and communicated in countless situations. Together, they represent over ninety years of business training experience and delivery, in over 60% of the Fortune 500 companies from junior sales & marketing to the C-level management. That wealth & depth of their experience and expertise is available to you. Tap into it that experience by attending one of our showcases. All ImpactSkills programmes are delivered with passion and energy and can be delivered in English, French, German or Spanish. Our faculty model all our communication skills in all our programmes, irrespective of the subject matter, class location, or level of training – anywhere in the world. You have the confidence to know that by using ImpactSkills, the coaching and skill development will be of the highest quality and consistency – always. She was originally trained in the United States by one of the leading companies in the area of advanced presentation, media and management dialogue skills. GE, Ford, Black and Decker, Pfizer, Hewlett Packard, Yell, Blackwell Publishing, The Conservative Party, National Health, Wrigley and Barclays Bank. World Leading Management Consultancy experience: Deloitte, Cap Gemini, Oliver Wyman, Mercer, Towers Perrin, MSXInternational and Punter Southall Group. Her approach to training is dynamic and she believes that professional people learn best by doing. She specialises in advanced presentation,public speaking skills, and dialogue and listening skills which are taught through practice, reinforcement using real-time coaching. Her warm and fun manner has endeared her to many participants who always immensely enjoy, and look forward to her training sessions. Having travelled extensively and lived in France for five years she is able to teach all nationalities, with a wonderful empathy and very cosmopolitan approach and understanding with all people from all cultures. With an award-winning, blue-chip commercial background in International Sales & Marketing. Current and past clients include: Aventis, Bayer, the BBC, Ford Motor Company, General Electric, Hewlett-Packard, Johnson & Johnson, Kimberly-Clark, Pfizer, Philip Morris Int’l, Procter & Gamble, Shipley, Siemens, Whirlpool, Wrigley and Wyeth Laboratories, Deloitte, Cap Gemini, Oliver Wyman, March First, Towers Perrin, Bain & Co. and MSX International. Prior to his work as a coach, Dominic worked at the Commercial Section of the British Embassy in Bonn, and at senior levels in business development with a number of very well-known global UK and US food manufacturers. With impeccable professionalism and infectious enthusiasm in the class, participants’ evaluation comments are consistently excellent. Her most recent clients include: Roland UK, Metropolitan Police, Towers Perrin, General Electric (GE), Johnson & Johnson and Project Security Ltd. Prior to becoming a management trainer, Sylvie held various management roles in the field of international procurement in multi-national organisations. Her work encompassed negotiating high value contracts with global corporations, setting up procurement strategies and leading virtual teams globally. She has lived and worked in France, England, Spain and Brazil. Sylvie has a Post Graduate Diploma in Management Studies and a Certificate in Adult Education. She is a member of the Chartered Management Institute and lectures on their behalf. He started his working life as a University lecturer at the European Business School at the City University in London. Here he lectured students from the Sorbonne and later continued to lecture at the Gulf University in Bahrain in Economics and Business Studies. Following service in the Navy as an officer, he moved into business development and sales with the Open University in the UK. By 1990 he became Director of the British Management Advisory Service in Warsaw, Poland. This was a UK Foreign and Commonwealth Office project, with a staff providing practical advisory and consultancy services to the newly privatising industries and service sector. His highly interactive style fosters involvement, and ‘leaning-by-doing’, high energy and fun! He style has been described as Dynamic, pro-active and inspiring! This gives Deborah a background to the training which enables her to draw on her own relevant experiences in the sales field, and to relate to and empathise with the participants in the room. 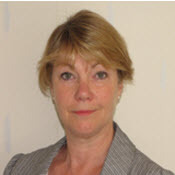 To date, Deborah’s corporate career has included work with multi-national organisations in the UK, Europe and Canada. The primary areas of work have included stock broking (she is a Registered Representative on the Montreal, Toronto and Vancouver stock exchanges! ), publishing, photography, skincare and cosmetics and, most recently, the finance and leasing industry at GE Capital (now Commercial Finance). Deborah’s first training role out of sales involved creating a sales training curriculum for a national sales force of 10,000 sales consultants. Developing a sales strategy as well as the curriculum was key to the process, and Deborah was able to bring that skill to her clients. During her three years at GE she was involved in developing the sales strategy and curriculum for all the European sales forces. Deborah’s approach to training is professional, but with the understanding that learning is most efficiently achieved with a little fun! Her delivery style is energetic and approachable, helping participants – from the front-line service provider to the sales or managing director – to relax into the environment and gain the most value possible from the programme. By developing people’s self awareness, people develop their own competitive edge, manage themselves, their colleagues & clients better and learn how to optimise their time to improve their work/life balance. This leads to greater trust, collaboration and ultimately more business. Her areas of expertise are leadership, teamwork, time management, executive coaching, interview skills and presentation skills development. With a professional background as a qualified dentist and a blue chip background in International Sales & Marketing managing multimillion pound businesses for Unilever, she is a doer and has first hand experience of developing direct and indirect teams to achieve forecasted revenues and profitability. Annette’s inspirational approach creates momentum for the individuals to take action, relative to their own work case scenarios, in the moment they learn, practice and own the skills before leaving the session. Current and past clients include: GE Healthcare, PKF Accountants, 3i, Morrison plc, Panasonic Europe, Portakabin, Coty Prestige, Wilberforce chambers, 23 Essex Street, Selborne Chambers, Brandalley, Bank of Scotland, Diamond International, SpencerStuart, NASDAQ, Kedge Capital Services, EJ Group, RAC, Nomura, Laurence Simons International, CleggManuel, Best Beginnings, Image Source, Celine, Vale, British Heart Foundation and others…. She has delivered across many industries in both the UK and in Europe. These include Financial Services, Public Sector, Automotive, Telecoms, and FMCG, working with people at all levels. The BBC, Trowbridge College, GE, Capita, Constellation, The Wrigley Company, Cranfield University, Bath & North East Somerset Council, Chippenham Borough Council, Plymouth County Council, Westland Helicopters and Aerosystems. Earlier in her career, Sally worked in a large retail environment as a Human Resources Manager with a training responsibility. She was instrumental in designing, delivering and implementing an appraisal system for 450 employees. She also trained 60+ Managers to conduct the process. She has spent several years working in sales and training for a Global organisation, the world’s leading career transition and organisational consulting firm. There she was responsible for assessing and developing training strategies to maximise the potential of the individual. Outplacement. Working with clients experiencing change (at all levels) restoring self-esteem, self-confidence and supported goal setting. Interviewing and Recruitment. Identification and analysis of client needs, coaching and supporting them to access new opportunities. Career Development. Assisting Management and employees to identify their next move by delivering a series of workshops and one to one coaching both on site and in confidential locations. Content: CV Writing, Interview Skills, Presentation Skills and soft skills training. Training. 2000+ personnel at all levels within major blue chip companies in Business Communication Skills (UK and Europe). Originally a Maths graduate, he honed his project management skills in the market research industry before moving to larger government funded projects within the public sector. Stephen is an experienced project manager and has a track record of delivering management and leadership training across the range of business sectors, through his position as a Principal Lecturer and management consultant at a university business school. His combined experience has enabled him to deliver training assignments with large multi-national companies across a range of sectors including ICT, finance and banking, pharmaceuticals and the automotive Industry. Over the past 15 years he has trained hundreds of managers at all levels in a wide range of sectors. Having worked initially as a business language trainer and course writer for the British Council, Anthony now does an increasing amount of private consultancy work for Executive Development. He has a long history of successful training in business communication skills, especially presentation skills in international English, although he is completely fluent in Spanish and offers consultancy services in either language. He believes the term “communication skills” training needs to be extremely specific and client-centred, also constantly updated. He offers a range of highly tailored specialist training and coaching services including: presenting, sales skills, negotiation, good meeting skills, management development and business writing. A few of his most recent clients include: Banco de España, Munchener Reassurance, Repsol-YPF, Enel Viesgo, Pfizer, Roche, Grupo Antolín, MB Irametal, Sony Ericsson, and CHEP. He also currently teaches on three specialist Master’s courses: two in finance and business law, and one in pharmaceutical marketing. 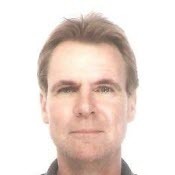 Anthony Wilson has a degree from Cambridge University, a Diploma in Management from the Open University Business School, a Teaching Diploma from the RSA and a Certificate in NLP. She was headhunted by a large corporation to take the role of Group Training Manager during expansion into the USA, Hong Kong and China. During this time she was responsible for developing and implementing the training and development strategy for over 2000 members of staff with a team of 20 trainers they provided a portfolio of over 60 courses world-wide. A creative optimist, Hayley’s drive comes from a passionate belief that everyone should be encouraged to reach their potential – so benefiting individuals and organisations with self motivated focused employees. A successful manager herself with over 10 years experience, she uses these experiences to turn the theories into tangible examples her delegates can relate to. Her training has been described as “ inspirational” with her natural ability to quickly build rapport and develop successful business relationships with a diverse group of delegates and clients. As a trainer Hayley has to believe 100% in her material that the theory can in practice be useful in the day to day reality of the commercial world. She has an interactive, relaxed style, and is able to react quickly to the individual needs of the group. She maintains a fun stimulating environment through creative exercises, variety of pace, desk toys, music and a keen sense of humour! Some of her most recent projects have been; a management development programme and customer care programme for the government . A twelve month team leadership development programme for Norbain. In addition to this she has recently written and presented a number of training films as part of an ongoing management programme for SSVC who provide TV, Radio broadcasting and entertainment to the British Forces. Areas of training expertise include: conflict resolution, dealing with “difficult” people, negotiation, sales, selling for non-salespeople, persuading &influencing, assertiveness, management development, time and priority management. His style is highly energetic and interactive with minimum use of props. With Chris you enter a “PowerPoint-free” zone! He has formed his own eclectic approach using a variety of training materials and methodologies. These have been devised, adopted and developed over his 17 years as a practitioner – he works with what works. Chris also holds a certificate in co-active coaching and is a member of the International Coach Federation (ICF). He brings his vast experience of working with people along with his challenging, intuitive style into the coaching relationship. Here he listens (really listens), enquires and offers individuals the space to identify, formulate and see through strategies for moving forward and thriving in their professional and personal lives. His coaching can also add value to the training interventions by supporting individuals and teams in building on and growing through what they have learned. As a result, the organisation can boast people who genuinely contribute and make a difference – rather than mere “human resources”. Prior to his career in learning and development, Chris spent the bulk of his corporate life in publishing, latterly as sales manager with Reed Business Publishing (now Reed Elsevier) on their hugely successful flagship title Computer Weekly. She works in both the UK and extensively throughout Europe and is bilingual in English and Spanish. Recent work includes design and delivery of a development programme combining coaching and training for senior managers in a very successful direct savings bank. Her other key areas of expertise include; NLP and Coaching skills, NLP for Business, Leadership development, Influencing skills and all aspects of business communication. She has worked extensively in Bank of America, Dresdner Bank, Hutchison 3G, Unisys, Vodafone, Biogen, Pfizer, Towers Perrin, Morgan Stanley, JP Morgan and ING Direct. She is an INLPTA certified NLP Trainer and spent six years working in personal and professional development organisations. Prior to that she travelled extensively, lived in Mexico and later Tanzania and worked for UNHCR on projects related to healthcare for refugee women. In coaching and communication she works with individuals and teams at all levels of organisations on all aspects of professional and personal development and performance issues. Her style is described as creative, intelligent, professional and practical. Those she works with report the immediate benefits of a clearer perspective and a greatly enhanced ability to establish and achieve their goals in life. She brings great breadth of experience and depth of insight as well as tremendous energy, enthusiasm and laughter to all that she does.